Stemming from the grassroots of family racing, Wiseco has over 75 years experience manufacturing pistons, whether it be for fun, weekend riding, or professional racing. Wiseco is one of the few manufacturers forging pistons in the U.S., providing quality and performance you can trust. Click here to see the latest Tech Tips from Wiseco. 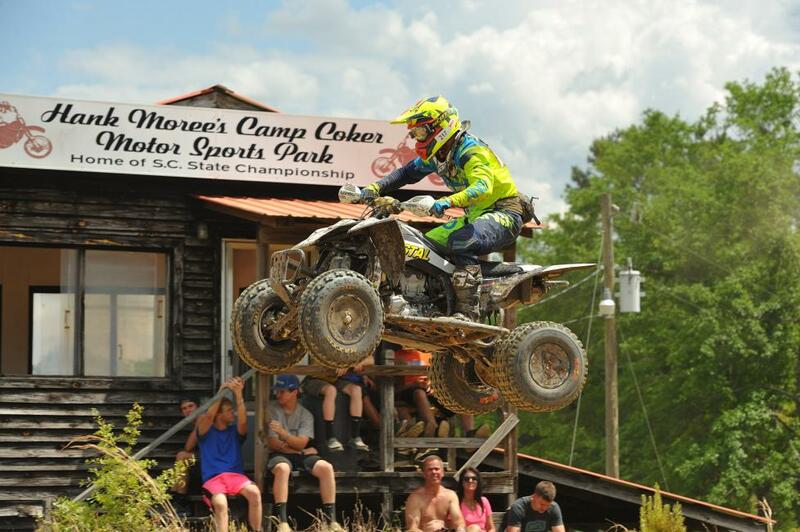 Eighteen-year-old Drew Landers is the ATV Amateur Overall winner for the 2017 season. 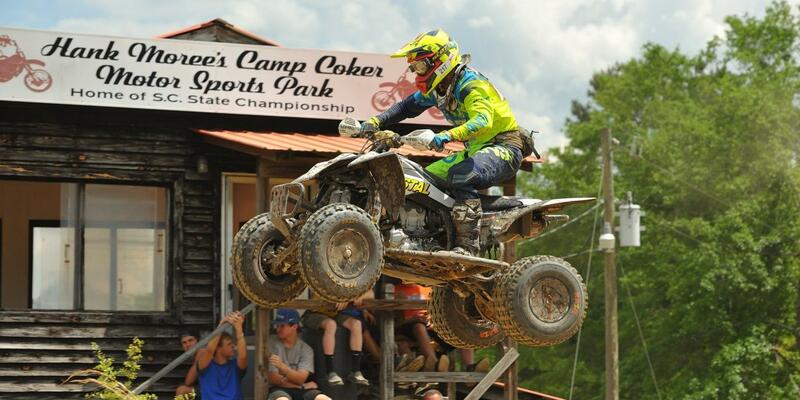 He hails from Monterey, Tennessee, and competed on a YFZ450 for the Coastal Racing/Waynesburg Yamaha team. This season he will be moving up into the XC2 Pro-Am class. We caught up with Drew to hear about his success in 2017, and his plans for the upcoming year! GNCCRacing.Com: Congrats on your ATV Overall Amateur award! Is this your first time winning it? Drew Landers: Thank you so much! Yes, this is my first time winning this award. It was one of my goals for the season and when I found out that I got it I couldn’t have been happier! Obviously, you had a pretty good season this year in the College A class. What were some of the highlights or most memorable moments? I sure did! 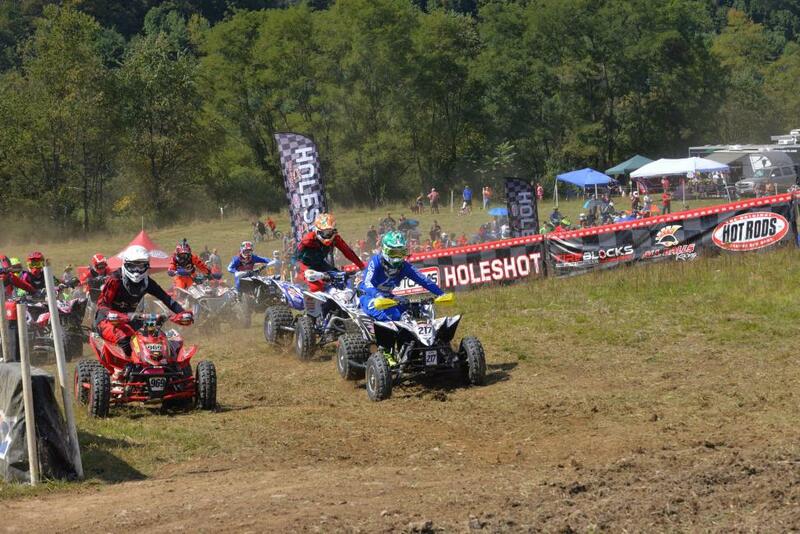 There were a lot of memorable races, but the most memorable of the year was Powerline Park. I made a last lap pass to grab the College A win and the top amateur spot for the day. That race was the most crucial for getting the championship, since I had to race 7 rounds while dealing with a broken wrist this season. It’s really impressive that you still came out on top after all of that! When did you break your wrist and what were some of your coping strategies for dealing with it? Well, I broke it the week after X-Factor while practicing. It hurt a lot, but that was all I knew so I just kept riding. I didn’t exactly have a strategy for dealing with it, other than just forcing myself into a mindset of telling myself it didn’t hurt and not to think about it. It wasn’t until after Mountaineer Run that I went to a specialist and we found out that it was broken. 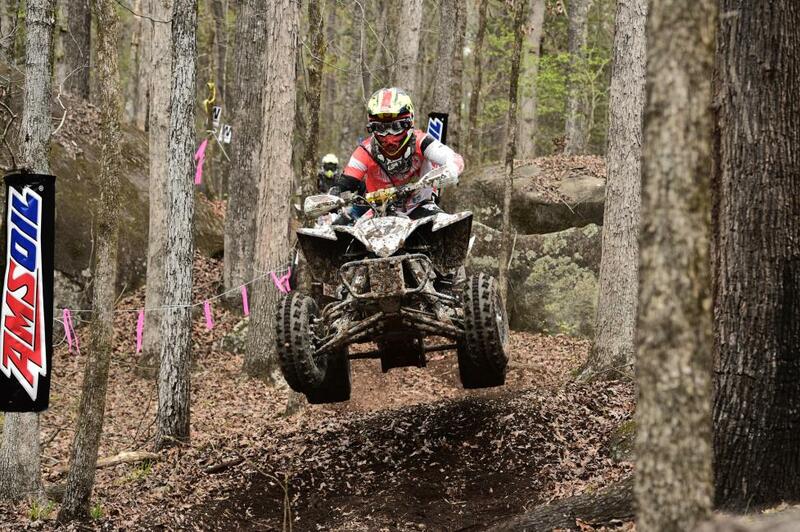 How long have you been competing in the GNCC series, and how did you get started racing the series in the first place? 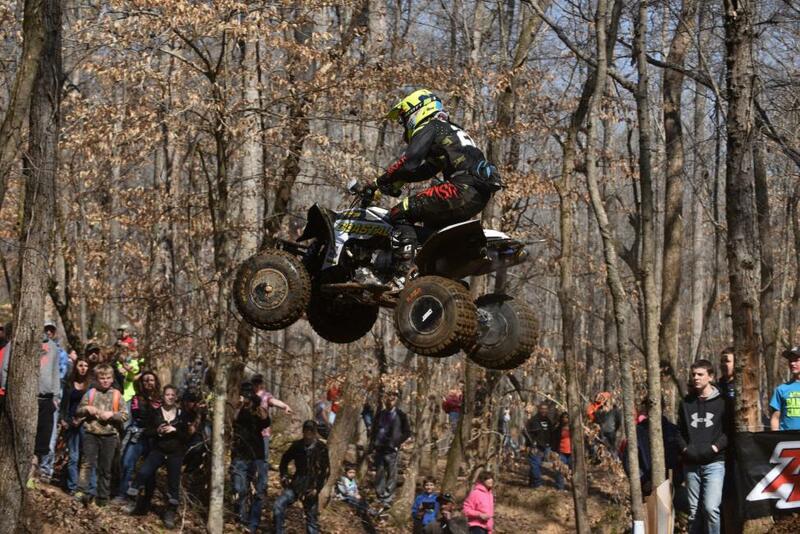 I have been racing the GNCC series since 2008, but I actually did not race an ATV for the first time until late 2010. I grew up riding both ATVs and dirt bikes, but followed the dirt bike racing path first, taking after a family friend that raced the GNCC series. Why did you decide to switch over to ATV racing? I had always wanted to race an ATV and it is what I have the most fun on, too. But I still like to keep a dirt bike around to switch it up every now and then. I got started riding in 2004 on a Suzuki Quadsport 50 that I got for my fifth birthday. I used to take the throttle restrictor screw out when my dad wasn’t around so I could go faster! (laughs) I’ve been hooked ever since! I heard you're heading to Florida to train, right? Bet you're excited! Yes, I am finishing packing up to head down to Florida right now! I’ll be staying with the other members of the Coastal Racing team at the Coastal Ranch. I’ve trained during the winter there ever since 2016. I’m excited to see different scenery than the inside of my local gym and get to ride in some decent weather! Are you a full-time racer, or do you have a day job too? I guess you could say I’m a full time racer, but I work part time for LanMills, our family business, whenever I’m needed. We do a little bit of everything – corrugated wood products, framing art, logistics, warehousing, packaging, landscaping, renovation, even heavy-duty towing. Next fall I do plan on starting college classes, but will continue to keep my racing going. And what are your plans for racing next season? My plan for this next season is to jump into the XC2 Pro-Am class; I and my Coastal Racing team expect to have great results! After our success last season, and getting my wrist healthy again over the off season, plus a few changes we have made, we are very excited for the year ahead! Tell me something interesting about yourself that is not ATV-related. I’d like to thank my mom and dad, my little brother (Chase), Scott Kiger as well as Barry Hawk and the rest of my Coastal Racing team, Joe Krcelich, Brian Vasko with Waynesburg Yamaha, LanMills XC, Custom Axis Shocks, Lonestar Racing, 343 Graphix, DWT, Maxxis, Mika Metals, Acerbis, Sunstar, Answer Racing gear, Gaerne, Bell, Leatt, Hinson Racing, VP Fuels, Moto Hose, FMF, DP Brakes, Bel-Ray, IMS, Precision Stabilizers, Twin Air, Teixeira Tech, Super-B Batteries, and Haibike USA for the help in my 2017 season, and I would also like to thank everyone else who is on board for the 2018 season.